Combine our Carpet Cleaning with End of Tenancy get a 50% discount! You can choose from a range of professional solutions. If quality and affordability rank high on the expectations list you have for your cleaners then you got every reason to contact us at Monster Cleaning Fulham and enjoy the most professional and affordable cleaning treatments around. With long standing experience in a wide array of residential and commercial property cleaning services we are more than capable and ready to organise and provide your household or business with exceptional quality cleaning treatments at an excellent price. Private and commercial clients can turn to us for quick and inexpensive solution to a range of general and specialised requirements ranging from basic one off cleaning to comprehensive commercial property services and all in between. We are well aware that people have varied, even unusual requirements when it comes to property cleaning so we have left our services open for customisation – convenience and flexibility at a great price. Our clients can also request a host of handy additional options as part of the selected service. Below you fill find brief descriptions of our main services and the way we work. For more information regarding availability, pricing, bookings etc. please contact our office by phone, email or online. The services listed here are available separately or in combination with additional options as well as other cleaning solutions we have in store. Domestic Cleaning – a convenient and affordable service available as one off or on a fixed schedule basis. The service itself can be modified as per individual needs and wants or made to include specific additional options. Our one off domestic cleaning costs £12.5 per hour per cleaner (detergents and equipment can be provided at extra charge). The regular service is set at £10 per cleaner per hour for 3 to 5 hours a week. Oven Cleaning – a quick and easy way to keep this hard working appliance in tiptop shape at all times without breaking a sweat. The cleaning process is safe and suitable for all types of ovens, including self-cleaning models. The minimum booking value for this service is set at £45, with full oven cleaning costing £77, small oven cleaned for £45. End of Tenancy Cleaning – the service is available to both tenants and landlords. Can be arranged as pre-tenancy and end of tenancy cleaning. A comprehensive solution which covers a range of requirements can be modified to suit individual needs. Pre and end of tenancy cleaning of an average studio flat (excluding carpet cleaning) starts from £89. Pre and end of tenancy cleaning of one bedroom property (excluding carpet cleaning) starts from £117. Carpet Cleaning – professional steam cleaning suitable for all types of natural and synthetic fibre carpets. Cleans deep inside the carpet removing soiling, stains and odours. Can be performed safely on a regular basis. Carried out by qualified and experienced technicians. A mid-size bedroom carpet of about 160sq ft. will cost £89. After builders/post renovation cleaning – the service is available for residential as well as commercial properties at £15 per hour per cleaner domestic, and £16 per hour per cleaner commercial (detergents and equipment can be provided at extra charge). Spring/deep cleaning – an excellent way to freshen up the place after long periods of disuse or neglect. The clean-up can include additional options such as carpet and upholstery cleaning. Commercial/office cleaning – an efficient and affordable way to keep your place of business clean and fresh at your own convenience. Available as one off or on a regular basis. One off services set at £13 per hour per cleaner (detergents and equipment can be provided at extra charge), and regular services at £10 for 3 to 5 hours a week. Patio/driveway cleaning – specialised jet wash/pressure washing suitable for a wide range of hard surfaces. Professional grade equipment, specially trained technicians. Minimum booking value for jet wash, patio, decking, block paving or driveway cleaning is set at £60, with £2 per 10sq ft.
Because we want for customers to receive the a high standard of cleaning without margin for error or unreasonable costs we work with qualified and experienced cleaners who are trained in the safe and efficient use and application of professional grade cleaning systems. Our teams work with minimum water and resource waste policy. More storage space – no need to stock up on cleaning equipment and materials since our cleaners can bring their own. More free time – no need to invest hard earned weekends and days off in nuisance cleaning chores. 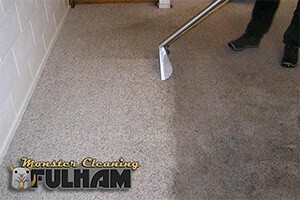 Better results – professional cleaning delivers much better results than any homemade treatment, without risk of damage. These guys cleaned my carpets last month and I was impressed with the difference. Would recommend! I use their services every week for my home as I'm always too tired or lazy to clean at home and they are doing amazing! Getting in contact with us is very easy. Using our contact form you can get a quote in minutes.